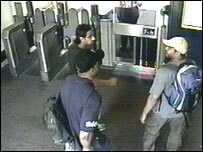 A rash of news stories about the bombers' possible links to Pakistan quickly followed the London attacks of July 2005. As a committee reports on the bombings, the BBC's correspondent in Karachi, Aamer Ahmed Khan, assesses what truth there was in the suspicions. It was nearly a week after the 7 July bombings in London last year that the bombers' possible connections to Pakistan were first raised. At least two of the four bombers - Mohammad Sidique Khan and Shehzad Tanweer - visited Pakistan in November 2004. In Pakistan, there was little surprise that the finger of blame was turning to point in Pakistan's direction, and it drew the expected response from the liberals and the conservatives. The liberals argued that it was the logical outcome of Pakistan's involvement in the long anti-Soviet war in neighbouring Afghanistan. The conservatives were critical of the West for what they said was an attempt to find scapegoats in the Muslim world for their own failures at home. Both, however, were convinced that nothing would come of the trail that had led British investigators as well as the media to Pakistan. Nearly a year down the road, there is no hard evidence to undermine their cynicism. Shehzad Tanweer is a forgotten story today in Pakistan. Few of the 100-odd people who showed up for the burial of the 22-year-old at Samundari - a small town near the bustling industrial city of Faisalabad in the Punjab - have been to revisit the grave since. It is a closed chapter as far as the Pakistan authorities are concerned, with Pakistani officials arguing that the trail fizzled out because there simply was no connection between what Shehzad Tanweer did and his November 2004 trip to Pakistan. In terms of material, tangible linkages it is hard to contest this claim. But it may be equally difficult to agree with the official contention if one looks at Pakistan's evolution as a hub of Islamic education over the last 25 years or so. Religious institutions mushroomed in the country in the wake of the 1979 Soviet invasion of Afghanistan. At the time, the regime of General Zia ul-Haq - facing international condemnation from Western democracies and a strong pro-democracy movement at home - chose to become a frontline state in the US-backed war against the Soviets. The idea behind encouraging and funding madrassas (religious seminaries) was to create ideological nurseries that could motivate people into joining the jihadis (holy warriors) battling Soviet forces across the border. Thousands of madrassas that sprung up in the 1980s and continued to spawn thousands of others through the 1990s are perhaps still not properly understood by much of the world, including large parts of urban Pakistan. In the West, they are often looked at as "militant training camps" or "breeding grounds for terrorism". What goes completely unnoticed by such descriptions is the vast multitude of religious scholars produced by these seminaries and the apparent legitimacy many of them acquired during the West and Arab world's war against the Soviets. Most of them keep a low profile and it may be next to impossible to prove they fan extremism. But when a radicalised youngster wants to know what his religion commands him to do in a world rent following 9/11 and the US-led "war on terror", it is such scholars that he turns to. Pakistan becomes an automatic destination mainly because of the easy availability of guidance of this kind. Scholars find precedents from Islamic history and verses from the Koran to argue that a collaborator in whatever respect is as much an enemy as the enemy itself. Apply this to Western democracies and every American becomes a collaborator for electing and re-electing George Bush to the office of president. Every Briton is an enemy for voting in Tony Blair. Thus there are some scholars who turn ordinary civilians into legitimate targets, making Muslim radicals' unconventional war against Western military might that much easier. It is also a quick passage to heaven, they preach. Pakistani liberals have for long argued that it is the ideology of religiously sanctioned extremism - and not those who profess it - that needs to be rethought. 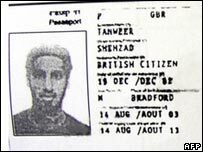 In support of their contention, they point to the simple possibility that Shehzad Tanweer may not have come to Pakistan seeking military training. They argue that he may have only wanted an assurance that he was on the right religious track. Pakistan ordered the expulsion of all foreign students from local madrassas and ordered the institutions to register themselves with the government soon after the 7 July bombings. The religious ministry now says more than 10,000 madrassas have been registered and 90% of foreign students have left the country. Even if the government's claim is true, many wonder if it can be a solution. The real danger, they argue, lies not solely in the extremists themselves, but in the ideas and the institutions that turn them into ticking time bombs. It is little wonder that Shehzad Tanweer's trail has led the world nowhere.